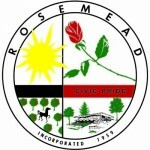 California Consulting Client, City of Rosemead, is Awarded $702,000 for the Caltrans Active Transportation Program (ATP) - California Consulting, INC.
California Consulting is pleased to announce our client, the City of Rosemead, was awarded the Caltrans Active Transportation Program Grant for $702,000. Congratulations to the City of Rosemead and our Deputy Statewide Grants Manager, Danielle Sotelo, for writing the successful application. California Consulting is the state’s premiere grant writing company. California Consulting has successfully written several ATP applications that have been funded for over $1.5 million dollars!